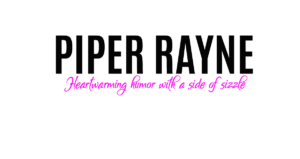 Lessons from a One-Night Stand by Piper Rayne ~ Release Blitz w/ 4 Star Review & Excerpt! What a cute freaking book!! This is your old age tale of having a one-night stand that you think you will never see again and BAM!!! There they are. They are thrust so far in your life that you can’t escape them. While this story can get written to death, this book was not the case. It was super cute and I loved Holly and Austin. After a one-night stand these two find their lives intertwined in one funny incident after another. The dynamic between these two is palpable as well as their chemistry. I don’t want to give too much away but let’s just say that one wants to get away from this town and the other has recently just moved to it. Austin has a huge family and I can only pray to the literary gods that some of them get their own books. There are so many and I loved each of them more then the next. They added so much to this crazy little story. 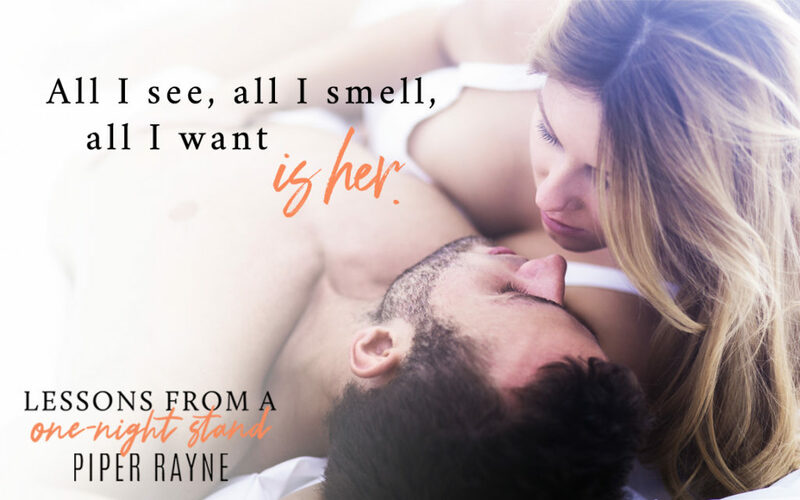 This book had a bit of it all – love, heartbreak, sadness…you name it, it had it and it was really written well and a definite page turner. There are so many other little side stories but they all intertwine perfectly! Looking forward to reading more about this crazy bunch!!! ← Halo by Ella Frank & Brooke Blaine ~ Cover Reveal!